Healthy homemade fruit popsicles made with five ingredients or less! Four delicious recipes to choose from, strawberry, watermelon, lemon, and coconut. An easy and refreshing treat to help you cool down from the heat. There’s nothing like enjoying homemade fruit popsicles on a hot day. The problem with the store-bought kind is that they typically contain high fructose corn syrup and artificial flavors. Not these! All my popsicle recipes are 100 calories or less and made with only natural sweeteners! Warm weather means beautiful ripe fruit start to appear at the local market. With so many choices I decided to make four recipe variations. I hope you have as much fun creating these frozen treats as I did. Almost anything can be frozen, so grab your favorite ingredients and let’s play around! Making homemade fruit popsicles are a fun way for kids and adults to experiment in the kitchen. 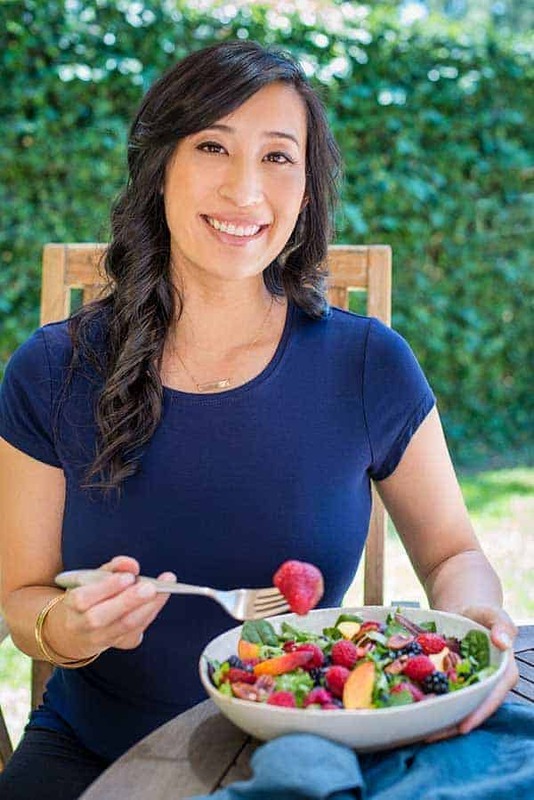 It’s also an easy way to add more nutrients into your day without using refined sugar. Molds: Popsicle making technology has impressively advanced since I was a kid. Companies like Zoku have come up with smart gadgets. Consumers have also gotten impressively creative with shapes, characters, and even light sabers! I decided to ditch my old school plastic contraption for a slightly updated Norpro Ice Pop Maker that I found on Amazon. Fruit: I like to puree naturally sweetened fruit with lemon or lime for some acidity to reduce the overly icy texture. Fruit juice such as orange, lemon, guava, grape or apple make the most reliable pops that tend to melt slower. A combination of puree and juice mixed also works to infuse different flavors. To add texture and visual appeal, you can chop small or thinly sliced pieces of fruit like watermelon, strawberry, mango, pineapple or kiwi. Creamy Popsicles: Adding yogurt for protein and probiotics for digestive health creates a natural creaminess that adds a smooth texture. Pureed bananas with the juice can also create a soft bite. Unsweetened coconut milk adds a creamy popsicle texture with subtle sweet flavor. Mixing or blending juice, whole fruit and something creamy also make for a consistently creamy popsicle. Freeze Time: Depending on the ingredients, at least 4 to 6 hours is needed to turn the parts from liquid to solid. Overnight freezing is the safest bet, and something to look forward to the next day! Each popsicle hs a distinct flavor and texture. In fact, James told me “mommy these are yummy! I love popsicles.” That’s a Mom win! I love that I can make something my family can enjoy that is healthy, and they wouldn’t even know it. My son enjoys making new flavors with me, so it’s a great way to bond together and teach kids about eating more fruit each day. 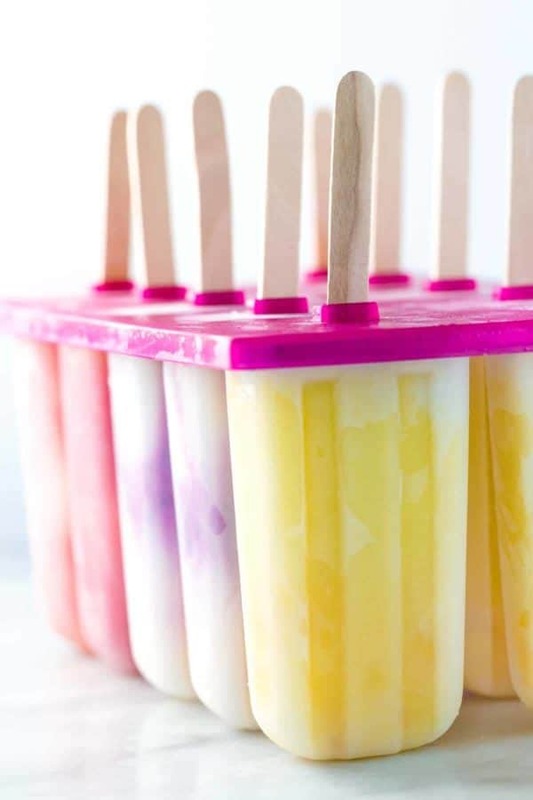 With a little bit of creativity, you can take wholesome fruit, juice, yogurt, and milk and turn them into delicious homemade frozen popsicles. Since my popsicle mold has ten spots, I like to add different flavor combinations by adjusting the recipe size, so we have variety whenever cravings hit. I’ve even made chai tea latte popsicles and strawberry yogurt granola popsicles. We’ve come a long way from Otter Pops, and I always feel good about offering one of these healthy popsicles to my family. To prevent the inevitable melted popsicle drip from making a total mess, I cut a small slit in the bottom of a cupcake liner and placed the popsicle stick through the bottom to catch the juice. It’s saved us a few times from some unwanted messes! What popsicle flavors will you create? Let me know in the comments section below so we can share ideas! A fundamental property of liquid solutions is that increasing their concentrations of dissolved solids will lower their freezing points. That means that adding ingredients like sugar, salt, minerals, fruit, proteins in a solution increases the time required to freeze the product and the need for lower temperatures to freeze thoroughly. When freezing a juice popsicle, the water will freeze first at 0°C. However, the fruit juice will never freeze completely, and it will remain icy and slushy unless the temperature is well below 0°C. This is desirable for popsicles so that they melt quicker in the mouth and are not as difficult to bite! Healthy homemade fruit popsicles made with five ingredients or less! Four delicious recipes to choose from, strawberry, watermelon, lemon, and coconut. Gently tap the molds on the countertop to remove any air bubbles. Insert the popsicle sticks, and then freeze for at least 6 hours, or overnight. In a blender, puree 2 1/2 cups diced watermelon pieces, mint leaves, coconut water, lime juice and honey. Cut the remaining 1/2 cup watermelon slices into 1/4 inch cubes. Pour and evenly divide them among the popsicle molds. Stir the popsicle mixture, then fill each mold. Insert the popsicle sticks, if it does not stay in place use a piece of tape to hold them into place. Freeze for at least 6 hours, or overnight. In a medium-sized bowl whisk together lemon juice, zest, and vanilla yogurt, set aside. Puree blackberries and mixed berry yogurt, set aside. Layer the popsicles as follows; 1 tablespoon lemon, 1 tablespoon blackberry, repeat. Swirl layers if desired. Puree 3 cups mango slices, 1 1/2 cup coconut milk, orange juice and honey. Cut the remaining 1 cup mango slices into 1/4 inch cubes. Evenly divide them among the popsicle molds. Add 3 tablespoons of mango coconut mixture, gently tapping mold on the counter to make sure liquid fills in the diced mango spaces. Add 1 tablespoon of coconut milk, or until the mold is filled. Insert the popsicle sticks, and then freeze for at least 6 hours, or overnight. Removing Popsicles From Mold- Run the molds under warm water for ten to fifteen seconds. Slowly and carefully remove each popsicle. If the popsicles remain in the mold, run them under the warm water for a few more seconds, ensuring not to melt the pops. Freeze or eat immediately! Each recipe makes approximately 10 popsicles, depending on the size and shape of your molds. Adjust batch sizes accordingly. Thanks Marjolein! I hope you enjoy the recipe! Is it okay, health=wise to eat fruit slushies every day? Hi Gary! Do you mean slushies, like the ones you can get at convenience stores that are just juice and ice? These are beautiful. I can’t wait to try one of the recipes! Thank you for posting this. Thank you, I hope you enjoy the popsicles! Awesome idea and very creative! Can’t wait to make them and taste them for the first time! I am a fruit lover! LOL. Can’t wait to see what else you post next! Thanks for the yummy recipes. Quick question, as I’m new to making homemade popsicles, wouldn’t you leave the popsicles in the molds after frozen? Or how would you recommend storing them? It’s so funny I’m seeing this because I actually just purchased 2 Zoku popsicle molds today-Oliver the Owl & Prince the Frog, & I thought, these are way too cute to just pour plain old juice in, plus I thought how cool would a tie dye/multi colored frog or owl be! I want to make the strawberry and mango recipe. I have frozen fruit on hand so wondering if I can just purée it frozen since the pop will be frozen anyway. Or, is it better to thaw the fruit first? Can you explain the science, please? Thanks! Hi Mulhadin! I think you can definitely use pureed frozen fruit, it will probably make the texture even more creamy! You read my mind as I have been thinking about what popsicle I would make when the ones I have are gone. Can’t wait to try some of these. your little guy James has grown so much. What a blessing our children are. By the way, Happy Mother’s Day to you on Sunday. Hi there! So glad I found your site! 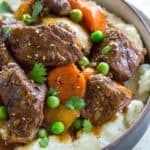 Some great recipies I am looking forward to trying. Question: do you have any suggestions on how to make basic fruit popcicles (say necterines and strawberry) and have them freeze smoothly? I feel like every time I make a batch they are “pulpy” which grosses me out (can’t drink orange juice with pulp). I have peeled the necterine and blended all the fruit with enough water to make them thin enough to pour. I am satisfied with the flavor, just not the texture. Hi Michele! I’m glad you found my site too! Have you tried straining the puree after blending through a fine mesh strainer to make it even more smooth? You could also incorporate some cream or coconut milk to give it a little or a different texture. Adding some sweetener helps with smoothness as well! Thank you so much for these recipes ! I was looking for something healthy for my kids to enjoy as a treat. I already had some molds from my first foray into homemade pops but needed some help on recipes. I tried the strawberry peach yogurt and they came out GREAT. I had one and now I can’t wait to make more. The kids thought they were awesome and now they want to help me make them. **I used frozen strawberries, partially thawed, and canned peaches because I couldn’t find fresh ones reasonably priced. They still came out super tasty. You’re welcome Eliza! It’s so fun (and a little messy) making popsicles with the kids, but I love how excited they get and learn how to eat healthy too. My son is obsessed with making popsicles, and we always switch up the flavors. Great substitutions for the fruit. Let me know what other flavors you try! Hi Jessica. My kids love to eat ice cream but I wanted to give them something healthy. Your excellent recipes are definitely a good start. Looking forward to making one for my kids. By the way, how long can the popsicles last if I keep them in the freezer say below 0 °C?. Thanks. I totally know how you feel Noh! I love creating healthy popsicles for my son, and he likes helping me make them 🙂 The popsicles should last about a month in the freezer. You can either leave them in the mold (I found this help reduce freezer burn, or make sure you wrap each bar tightly with plastic wrap and then place in a resealable bag. Thank you! I ended up making blueberry with banana with some apple juice with natural sugars a bit of honey and some h20 since i used banana. Came out Amazing. These look sooo good and I really want to make them but I was just wondering how you get the cool tie-die pattern on them that I saw in the picture. Hi Raina- Once I added each layer, I used a knife and pulled it up from the bottom to the top against the front side of the popsicle just a few times. What can I use to replace yogurt and any milk, as I am allergic, to dairy? I love coconut cream, almond yogurt, cashew yogurt or soy yogurt to substitute for the dairy yogurt. Thanks so much for sharing those recipes for frozen pops. I can not wait to try them all. I was looking for healthy ideas for my husband and now I have found them. Thanks once again! Apple and yogurt ice cream! Doesn’t sound like much, but it’s one those combinations that just meld together into wonderfulness. Thank sounds lovely! What kind of apples, like fuji? Those look amazing! My five year old loves color and popsicles, so what could be better? We like creamy textures, and your post was pure inspiration. We had some extra lemonade and decided to freeze it, but our popsicle mold was freezing up a batch. We just put it in a cup with a spoon as a handle. The next day, it was completely frozen, yet hollow in the center. Do you know what the science behind that could be? Wow violet, very interesting! Sometimes metal can create static because of its metal ions creating repulsive forces. Perhaps that could have happened with the acidic lemonade solution and the metal spoon? Jessica you have inspired me to open my own Food Van making healthy fruit ice cream, slushies and popsicles. I like to add a huge amount of unique fruit types to make it more colourful and tasty. My latest creation is Matcha, coconut milk, mint and kale ice cream which has been the latest hit. People even those who are exercising in the park often stop by for a healthy delicious refreshment. Thank you so much for your inspiration please make more amazing posts like this that actually changed my life. The ingredients for the Peach Strawberry Yogurt Popsicles don’t list mango, but the instructions do. Him much mango do you recommend? 1 cup? I might substitute banana. Hi David- Sorry for the confusion but there are actually 4 different popsicle recipes in the post. You may have just read the orange mango coconut recipe instead of the peach strawberry? 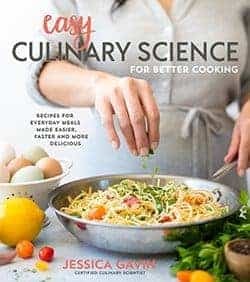 Hi Jessica, I recently came across your site, and as someone who enjoys adapting recipes, I really appreciate the food science bits! Having read your explanation of how popsicles freeze, I added a pinch of salt and about two tablespoons of honey to a can of coconut milk and a few ounces of whole milk thinking, “Voila! Soft, coconut popsicles in a few hours.” Those were fine, not terribly difficult to bite, but had a flaky texture not reminiscent of the store-bought kind. I thought adding a bit of cream might give them a creamier texture, but that batch presented an even more curious issue – the cream rose to the top of the molds (bottom of the popsicle as it’s eaten), resulting in one surprisingly icky bite at the end of a (still flaky) popsicle. The cacao powder I’d blended in was concentrated at the other end! So it appears that the ingredients are separating according to density during the freezing process, but – why? And if I don’t want to add a whole bunch more sweetener or anything artificial, do I just have to tolerate a lesser popsicle? I’d love to hear your thoughts on this! Can’t do dairy. Can there be a substitution? Hi Cindy- Coconut cream is a great addition!